Delicious sweet treat or great used in salads, baking and cooking. 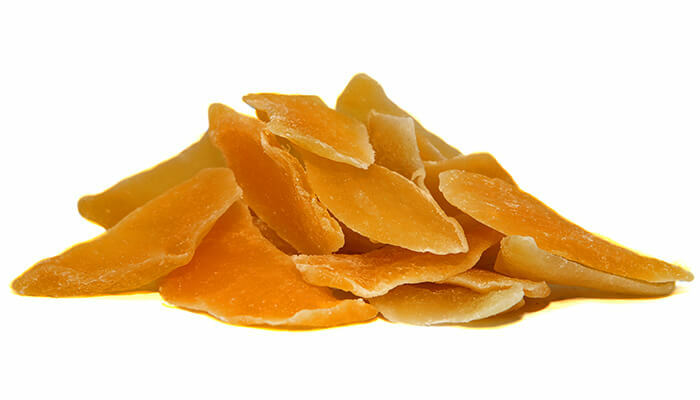 Sweetened dried mango with no artificial colours. Mango (72%), Sugar, Acidity Regulator (330), Preservative (223 (contains Sulphites)).